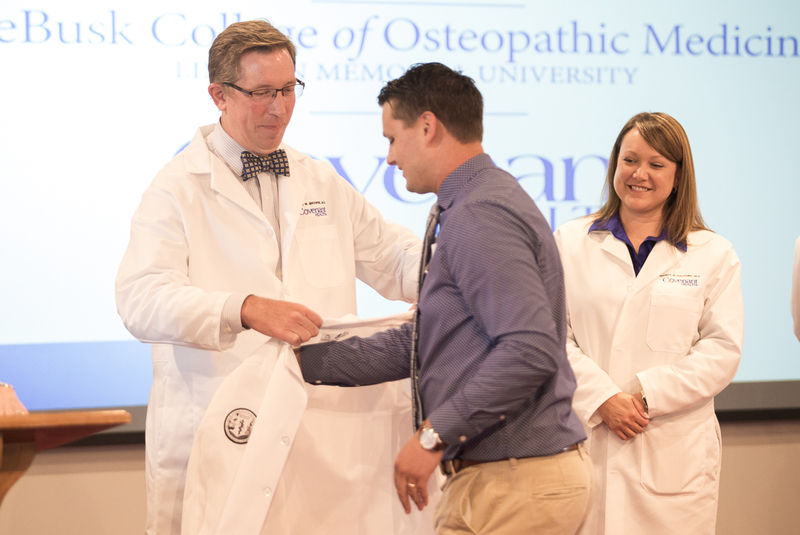 Covenant Health has launched a medical student program in partnership with DeBusk College of Osteopathic Medicine at Lincoln Memorial University in Harrogate, Tennessee, and welcomed the first group of 48 students at an inaugural event on July 19. The medical student program will provide clinical experiences for aspiring physicians and mid-level providers at three Covenant Health hospitals: Cumberland Medical Center in Crossville, Methodist Medical Center in Oak Ridge, and Morristown-Hamblen Healthcare System in Morristown. Students may also be assigned to primary care clinics affiliated with Morristown-Hamblen and LeConte Medical Center in Sevierville. Covenant Health CEO Jim VanderSteeg and Pete DeBusk, chairman of LMU’s Board of Trustees, were among the keynote speakers at the launch of the new medical student program on July 19. The event also included remarks from Autry O.V. 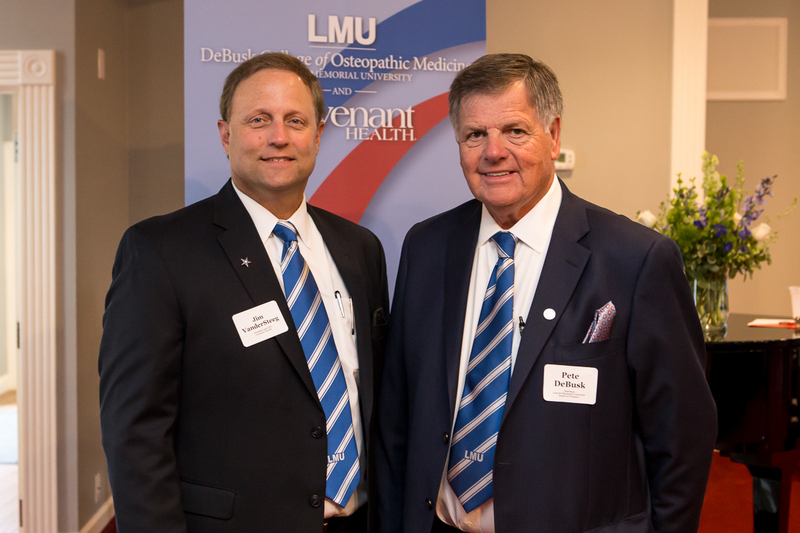 “Pete” DeBusk, chairman, LMU Board of Trustees, and Brian Kessler, DO, FACOFP, vice president and dean of LMU’s DeBusk College of Osteopathic Medicine. DeBusk said there is a shortage of medical professionals in the area, and the medical student program will help address the need. “Through this innovative partnership between LMU and Covenant Health, we get a chance to be part of the future of education,” he added. Other Covenant Health presenters included Mark Browne, MD, senior vice president and chief medical officer, and Mandy Grubb Halford, MD, medical director of clinical documentation and informatics. Dr. Browne spoke to the students about Covenant Health’s commitment to quality and Dr. Halford discussed roles and responsibilities for students’ participation in the new program. 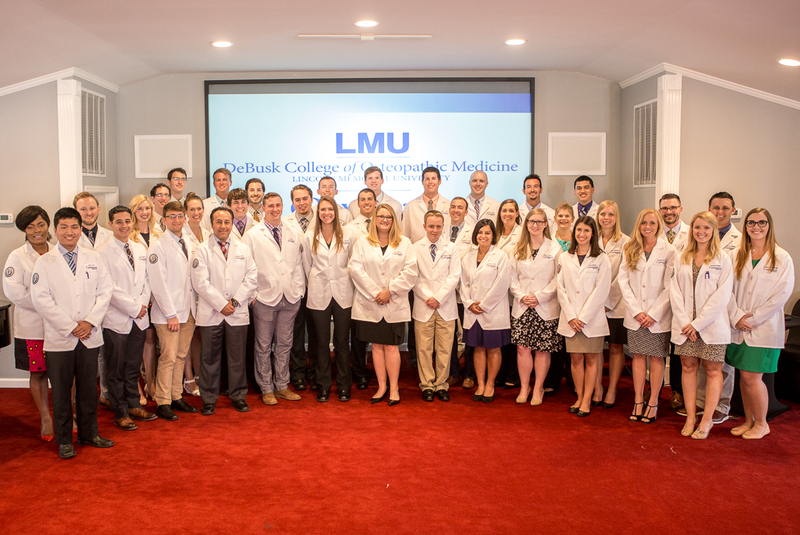 At the celebration for Covenant Health and LMU’s new medical student program, Blake Houser and 47 other students received white coats from Dr. Mark Browne and Dr. Mandy Halford. After a celebratory luncheon the medical students participated in a white coat ceremony where they received physicians’ white coats to wear during their clinical experience. Each coat has the student’s name and a school patch embroidered on it. They will begin their hospital assignments on July 25. Covenant Health welcomes the first students in the medical training partnership with LMU’s DeBusk College of Osteopathic Medicine. Working under the direct supervision of physicians, students will have opportunities to interview and examine patients, obtain and review clinical information, make hospital rounds, participate in interdisciplinary rounds and team meetings, practice appropriate documentation, and perform procedures. In addition to their core hospital rotations, the students also will have opportunities to participate in elective experiences at other Covenant facilities in specialty areas such as neurology, perinatology, radiology, and orthopedics. “No matter where you rotate throughout Covenant Health, you will have an excellent experience,” Dr. Halford told the students. For more information about the medical student program, contact Vickie Schulze, Covenant Health medical student coordinator, at 931-459-7037 or vschulze@covhlth.com.